Located on the north east coast of the beautiful island of Kos, the birthplace of Hippocrates – father of Medicine, the 6 jewels of Kipriotis Group, consisting of the Kos International Convention Centre (KICC) -one of the largest convention centres in the Mediterranean- and 5 luxury hotels, all in a radius of 300m from each other, with magnificent views of the Aegean Sea and breathtaking surroundings, make the unique combination of state of the art conference services and hospitality. 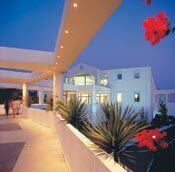 KICC is considered to be the largest, most elegant, most functional and the only autonomous convention centre in Greece. It is a magnificent 3-leveled, purpose-made, fully autonomous and modern building, with direct access to the road for easy loading. 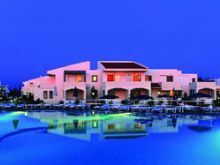 It is found adjacent to Kipriotis Village Resort and just a few minutes walking distance from the 4 remaining luxury hotels of the group. 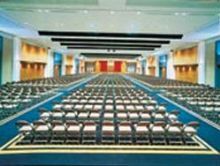 Kipriotis Hotels and KICC comprise in total 40 meeting rooms with total capacity of up to 7.000 persons (5.500 KICC and 1.500 Kipriotis Panorama Hotel), main auditorium 2.300 seats and 3.000 sq m exhibition space. 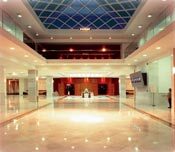 KICC is one of the most modern convention centres in Greece equipped with state of the art audiovisual equipment and translation technology and is situated just 3km from Kos town and 25km from Kos International Airport.